If someday it will be possible to create a MPA backed by multiple UIA, may be it will be possible to join all BTC in one MPA ? By cumulating all these BTC the liquidity of BTC would become very interesting on bitshares. It may be stupid and may not be feasible, but what about a BTC MPA backed by as much BTC as possible. For example I want to deposit some BTC on open.ledger, today openLedger send me open.BTC in exchange, it will be necessary that open.ledger creates MPA.BTC by "borrowing" mpa.BTC by putting open.btc in collateral and send me the MPA.BTC thus created. On the other hand, it would be necessary to find an incentive for the gateways to use this MPA and to create and supply them to their client rather than their own UIA. 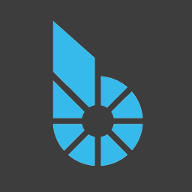 I guess it raises a lot of problems, but is it feasible with bitshares's features? It's already possible to issue an MPA using UIA as backing collateral, you'd need to contact the gateway to see if they're alright, though technically there's nothing they can do to stop you doing this. My english is definitly too bad , sorry for that. What I tryed to describe it's more an idea to make what it could be the biggest DEX BTC market. Instead of having open.BTC market, bridge.BTC market, Spark.BTC market, EASYDEX.BTC market, rudex.BTC market ... we could have a MPA cumulating the liquidity of all those market. a Mpa backed by all those UIA (MPA backed by multiple assets) can do that ?. Problem is that you'd need to trust these multiple gateways to be fully collateralized when using their exchange backed asset (EBA|UIA) to back new MPA being issued, if one is compromised then they could flood the MPA, so it's not ideal. If there was a means of limiting issuance per backing asset type that'd possibly offset this risk. If one from few gateway will be bankrupt, then MPA.BTC backed UIAs.BTC also will be uncollateralized. I think it bad idea merge risks few UIA in one asset.